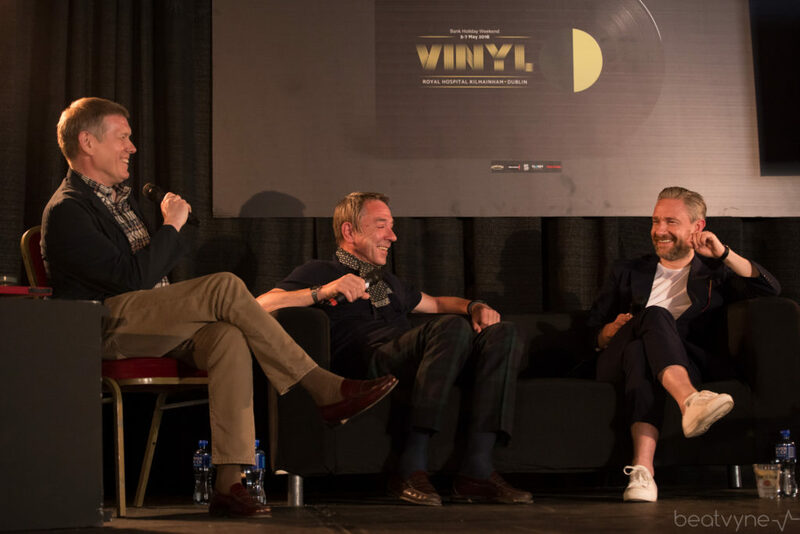 In an age of instant gratification, digitization and high expectation, Vinyl Dublin was a welcome retreat. 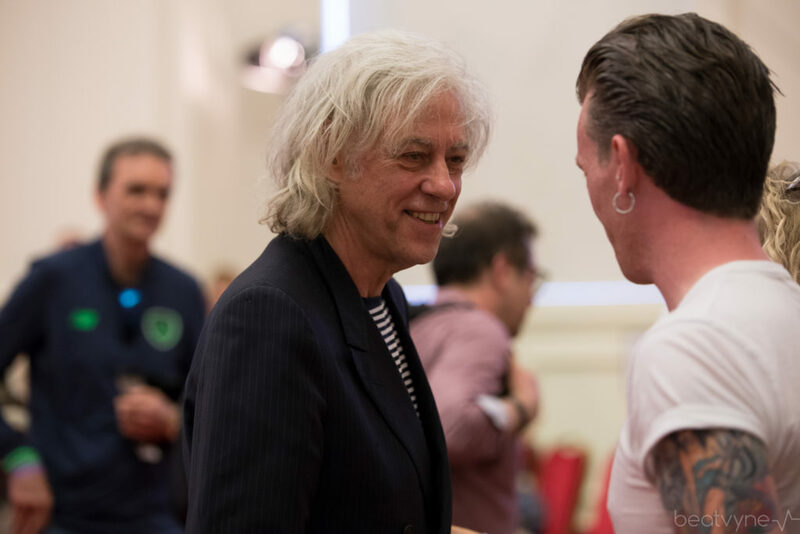 A much needed moment to catch your breath, reflect and take stock on perhaps not just the music industry but indeed our own relationship with music. 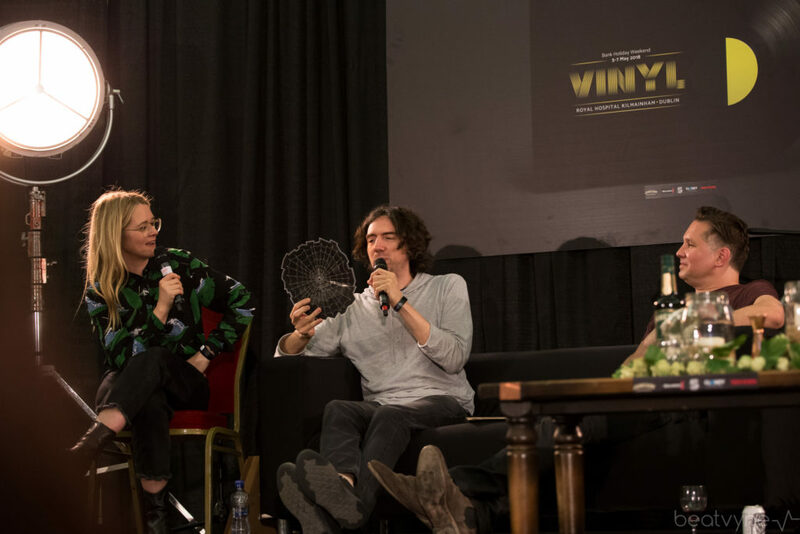 Set amidst the stunning grounds of Royal Hospital Kilmainham, Vinyl festival is a new, unique and immersive experience, taking the audience on a magical trip through the story of song, production, photography and more. 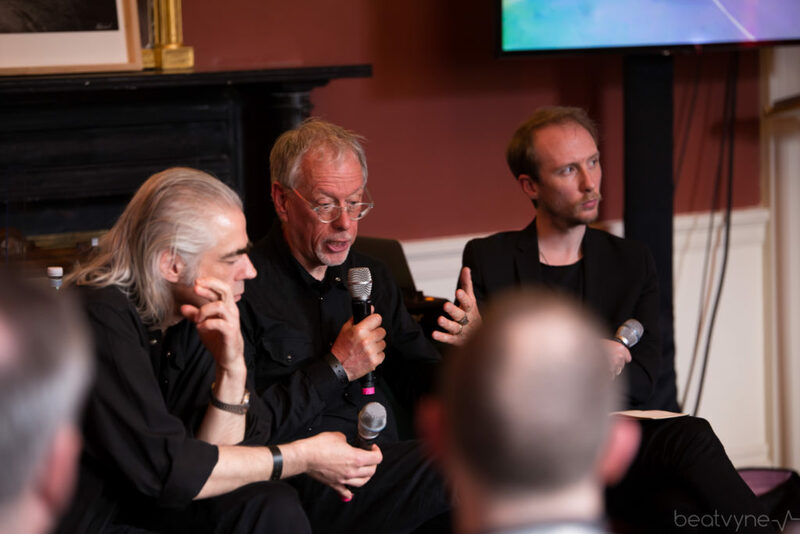 With intimate discussions set in The Great Room, The Baroque Chapel and indeed ‘The Other Room’, it was almost as if the digital age had disappeared for the May Bank Holiday Weekend and all who were lucky enough to get along were transported to another time; a time where music is as much a physical experience as it is an audible sensation. 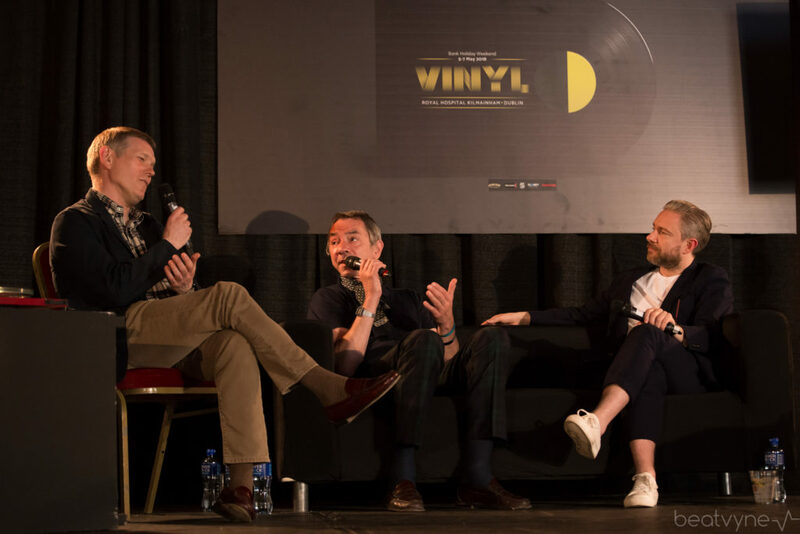 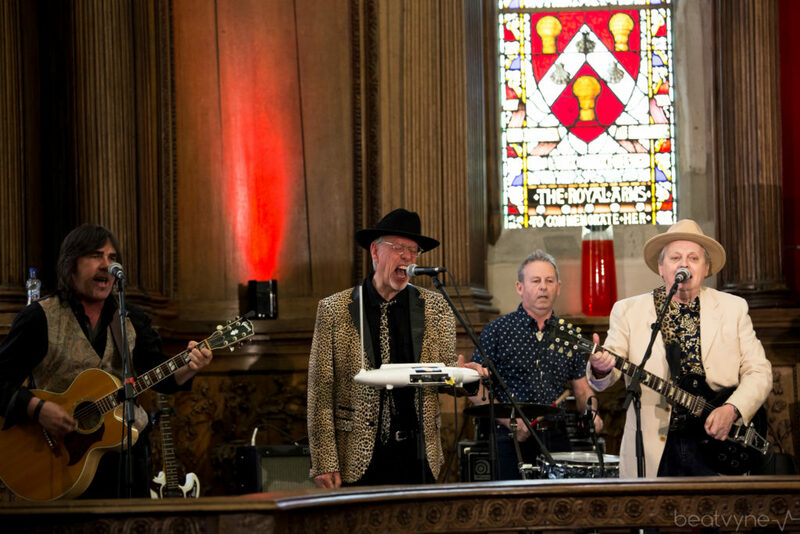 There’s no doubt that vinyl has made a come back, and Vinyl Dublin captures this moment superbly with a homage to not just the past, a bygone era of music, but in fact the present moment and the much needed tangible experience that music lovers desperately crave. 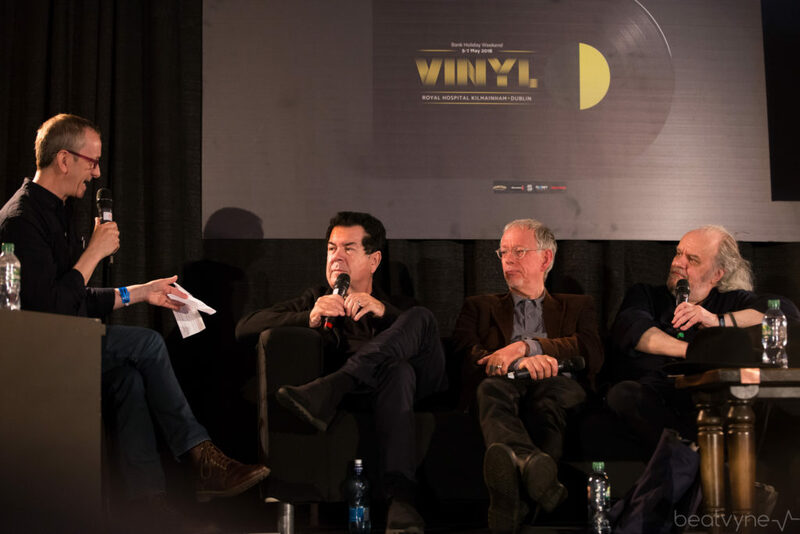 Music is an experience, a dance if you will, between the artist and the fan, that only takes place on the dancefloor of the mind, and vinyl is a symbol of this dance, a rotating sequence of choreographed movements that captures the senses, that engulfs the soul and is an essential part of the listening experience. 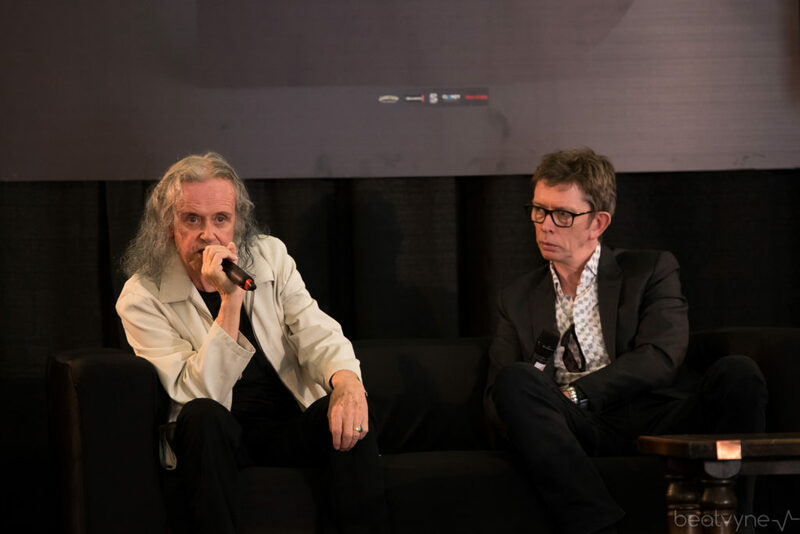 Some argue that digital is eroding the core of what music is about; carving out its value, robbing it of its essence and tossing it aside on some side street. 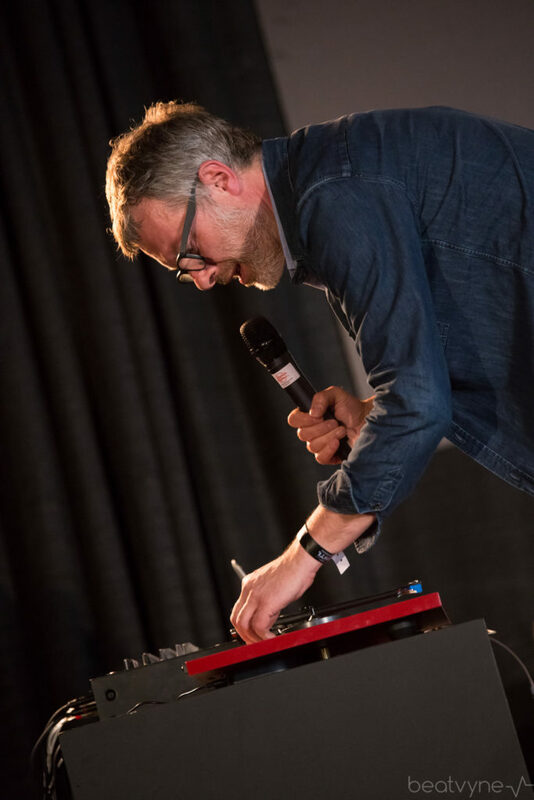 But a bubbling question is surfacing to the top; is it enough to have every single song in the universe at your disposal? 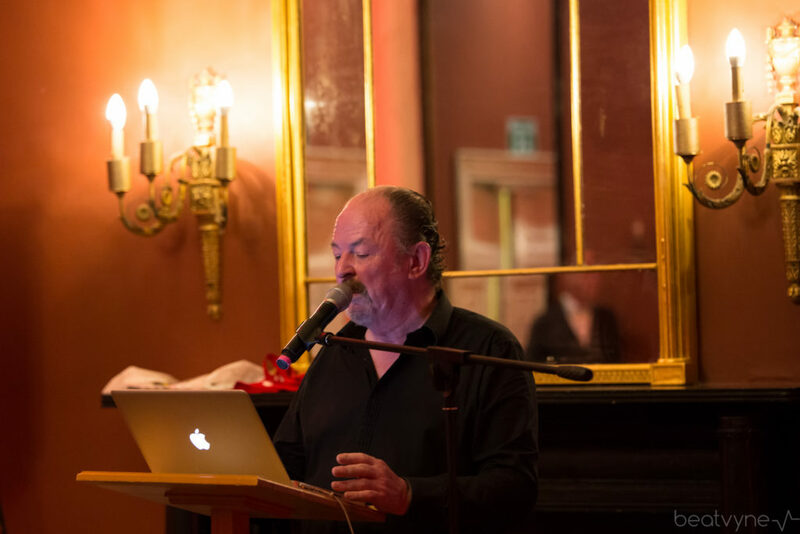 The three-day festival prodded at this topic, whether consciously or unconsciously, it tackled today’s obsession with quantity, access and speed, flipping it on its head in almost Carnivalesque, topsy-turby style, and slowing it down to a velocity that can be appreciated, enjoyed and experienced, relighting our love for this awesome art and sparking the imagination. 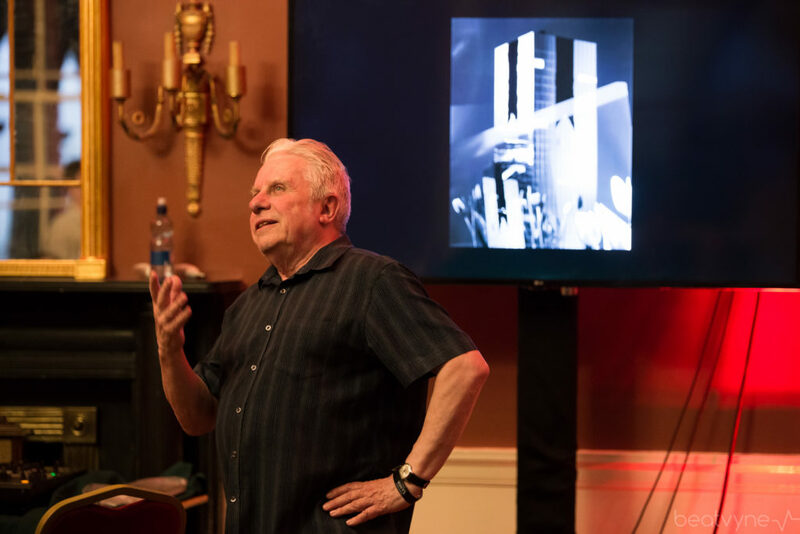 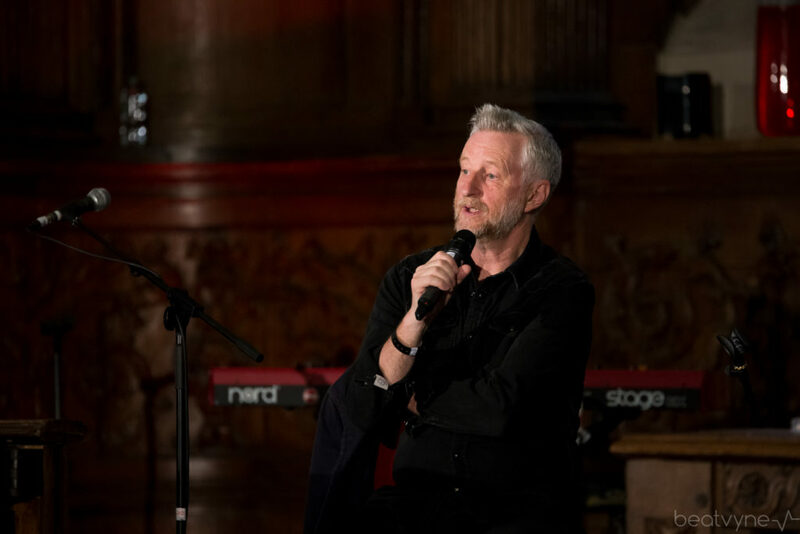 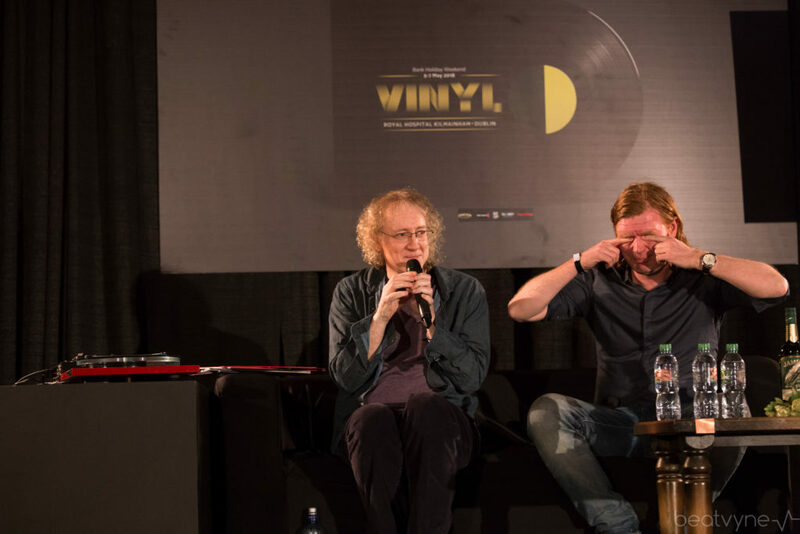 From remarkable stories of how our favourite songs were born to inspiring photographs that gave the music we all love an image, this was a real treat for the music lover to get an inside track on the joys and sorrows of how music is created, who was behind the productions and where the magic comes from. 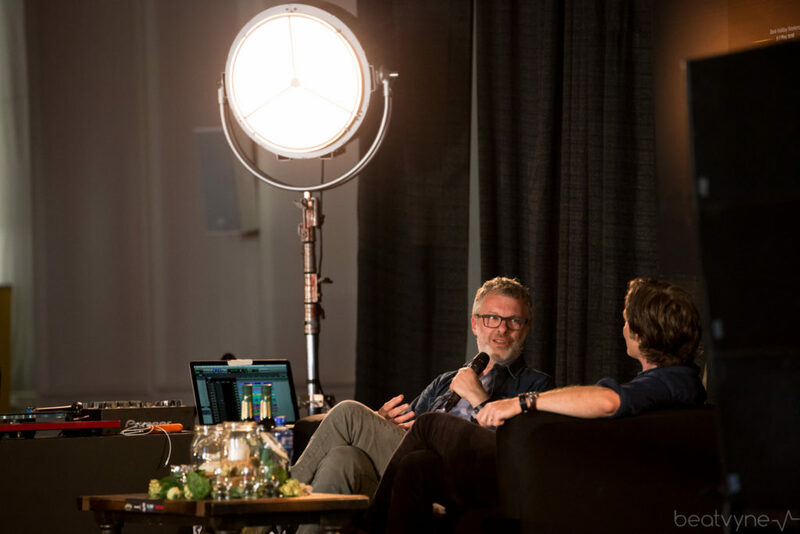 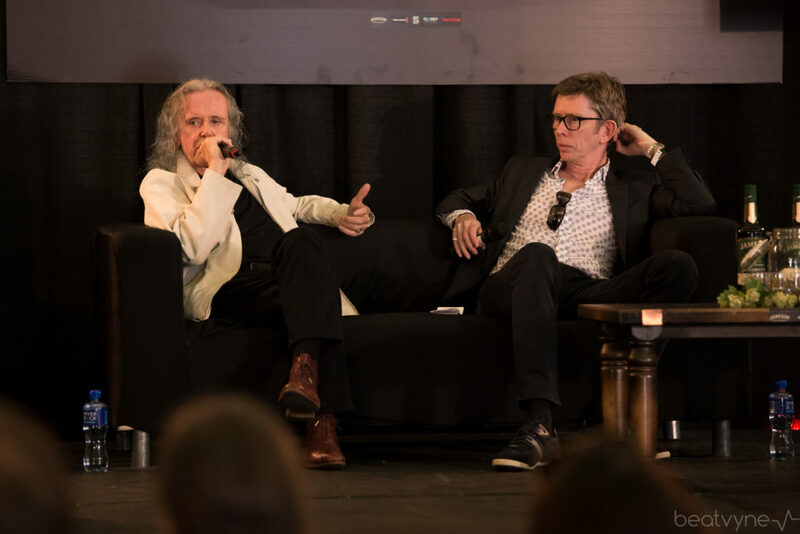 In a down-to-earth kind of manner that emanated throughout the event, the artists spoke about their craft with a refreshing honesty, passion and realness that can only come from the right environment. 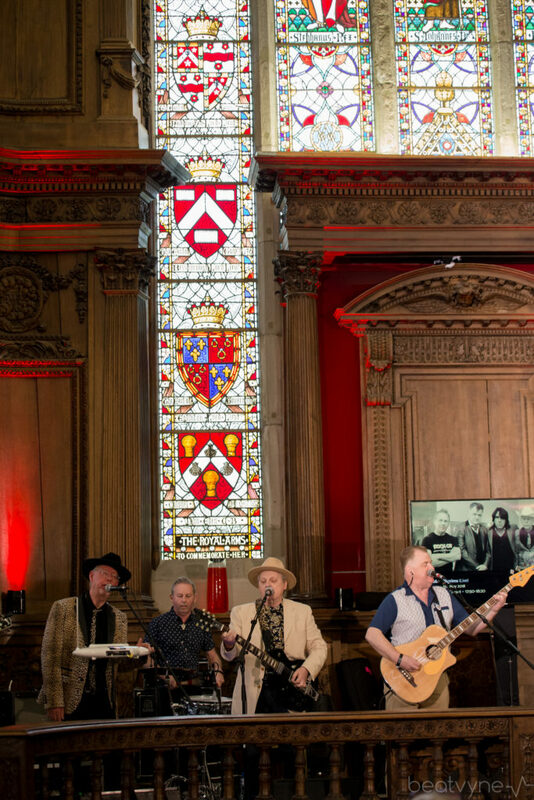 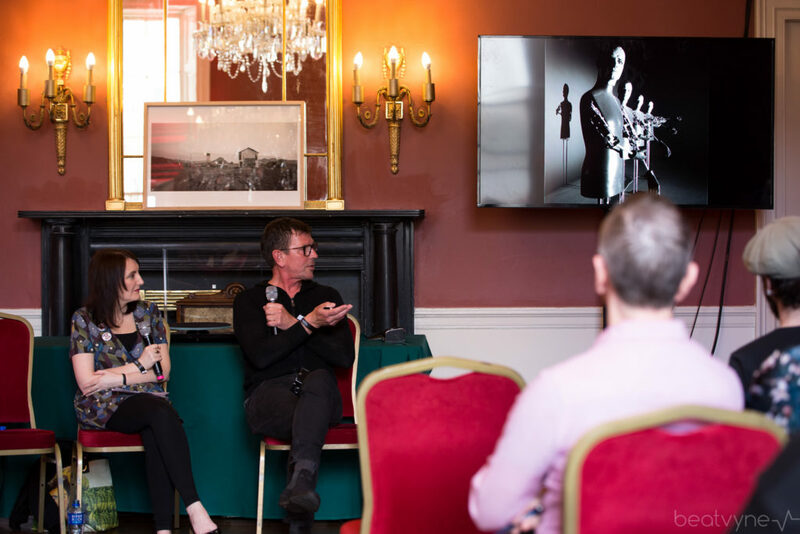 A mix of the physical beauty of Royal Hospital Kilmainham and the set-up of talks, performances and pop up collections, where guests could freely navigate and stroll from one room to another during the conversations, blended to create the immersive experience the organisers advertised. 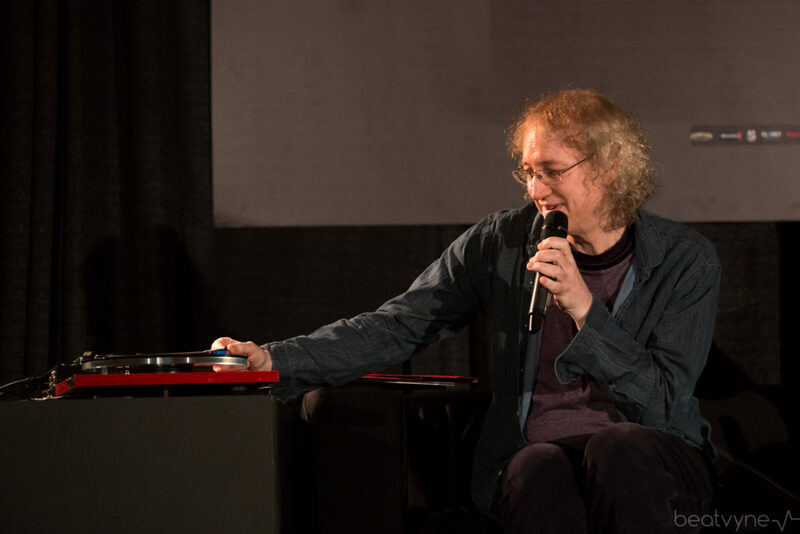 What could easily have been a disturbance and nuisance for both speakers and listeners became part of the experience, as though being at a party, randomly entering a room and stumbling upon the most incredible chat with the most remarkable participants engrossed in fascinating discussions, lost in a circular world that holds grains of truth and all that it means to be human. 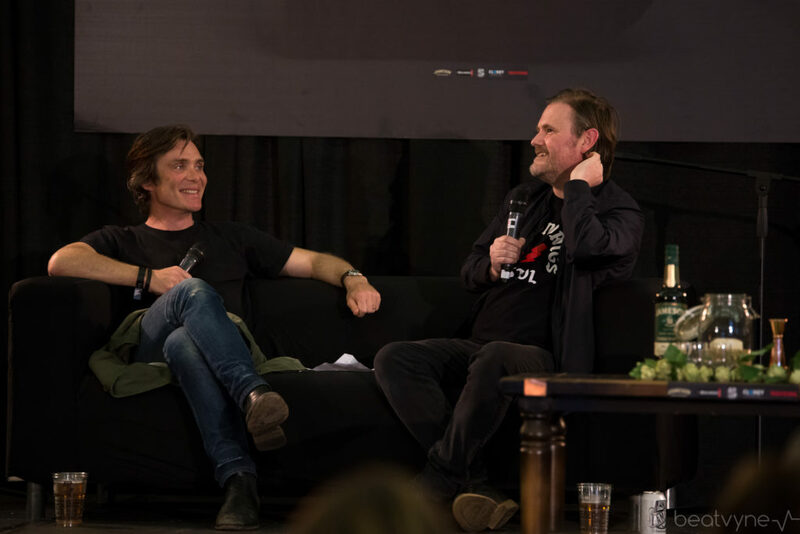 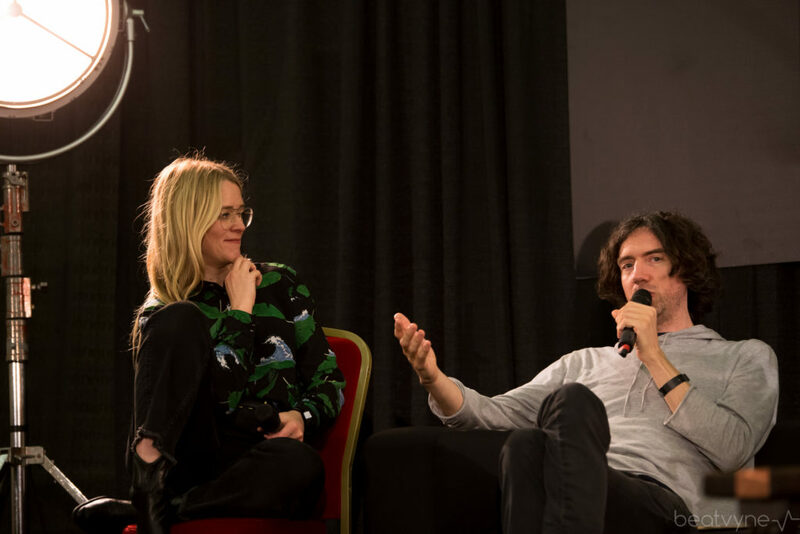 We heard reflections from Aslan on their debut album, ‘Feel No Shame’ some thirty years ago, joined by Something Happens’ Tom Dunne, conversations from Geoff Barrow and acclaimed Irish actor Cillian Murphy discussing his role as co-founder of Portishead to subsequently soundtracking films for Ben Wheatley and Alex Garland (Ex Machina, Annihilation). 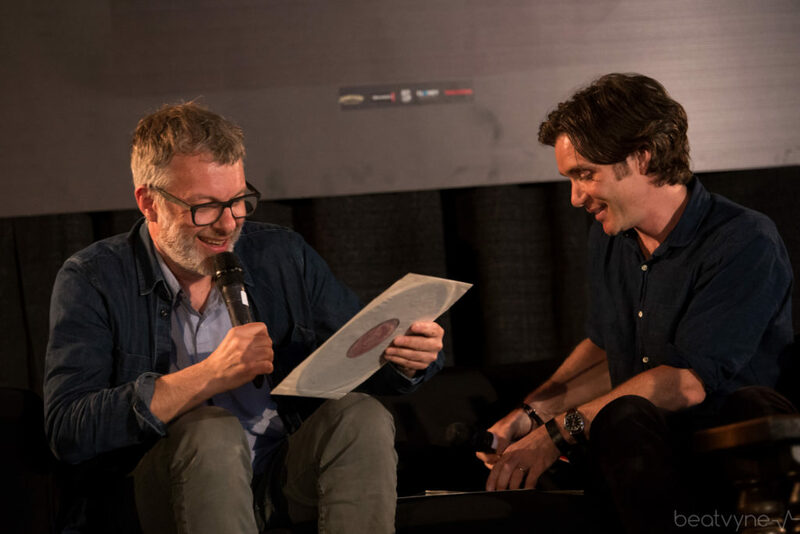 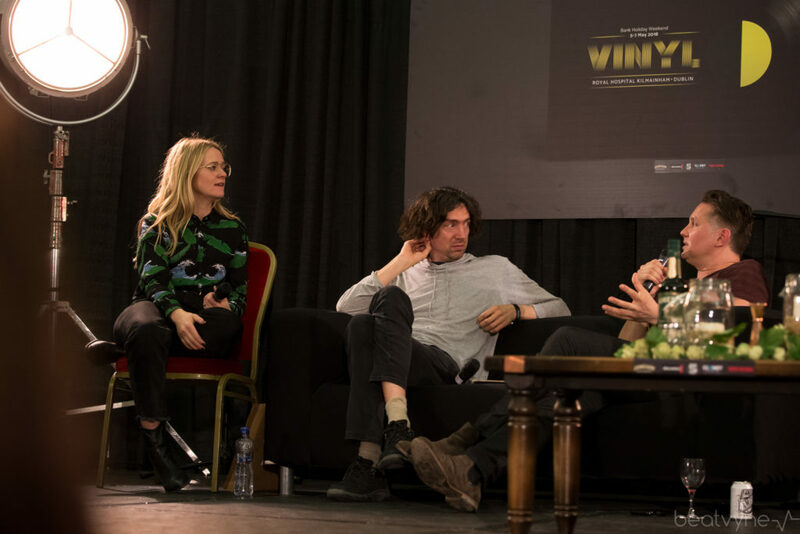 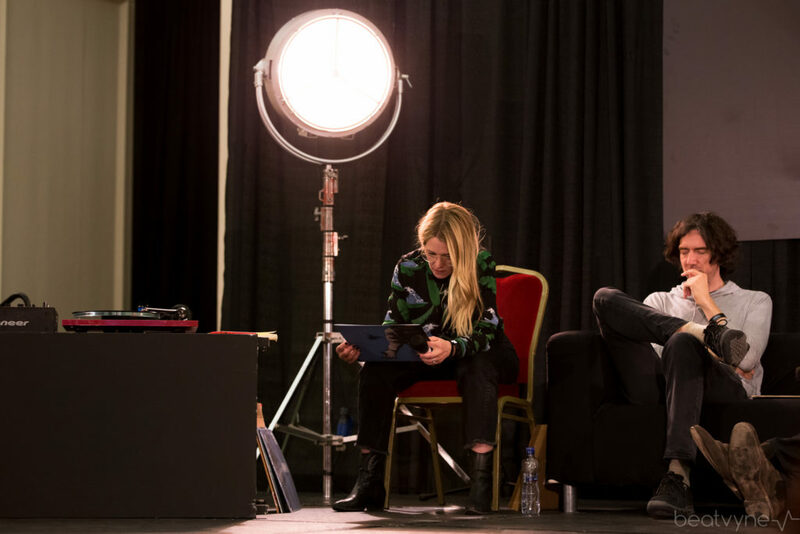 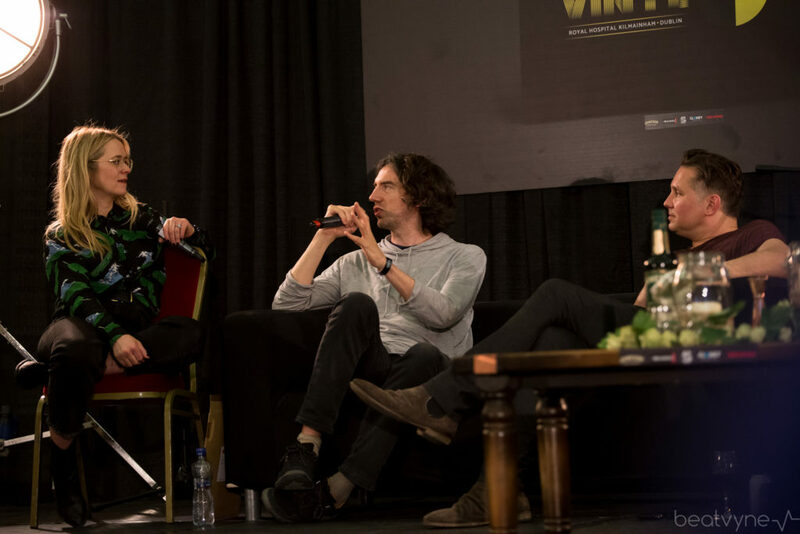 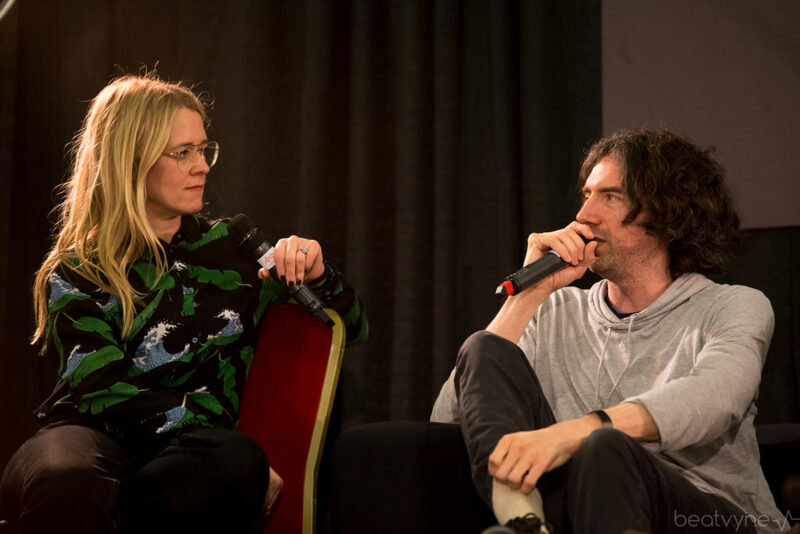 Snow Patrol presented an exclusive playback of selected tracks from their forthcoming album ‘Wildness’ in the company of writer Edith Bowman. 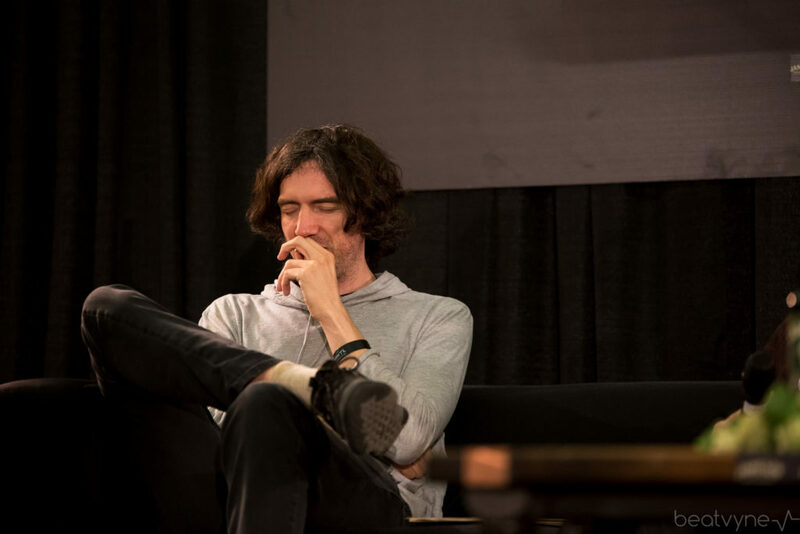 The sneak peek revealed a new touch to Gary Lightbody‘s songwriting prowess, with hints of Belle and Sebastian, clever sparse production and what is clearly an evolved and mature sound. 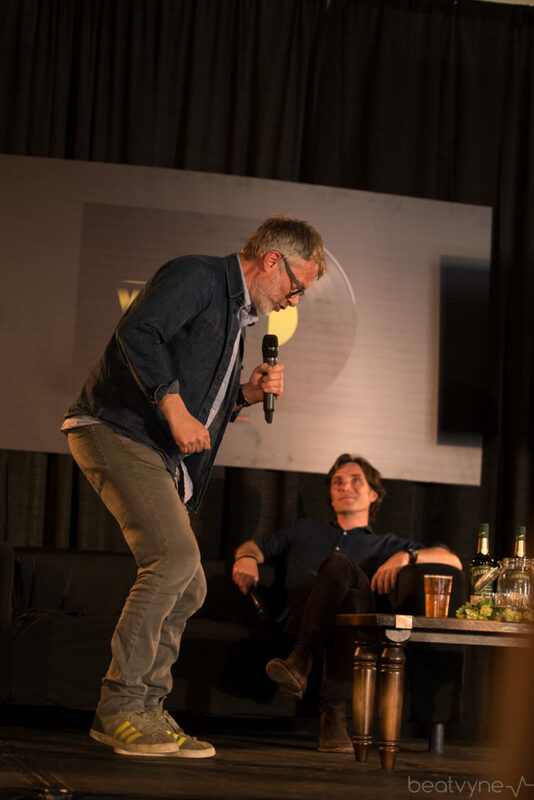 We can‘t wait for more! 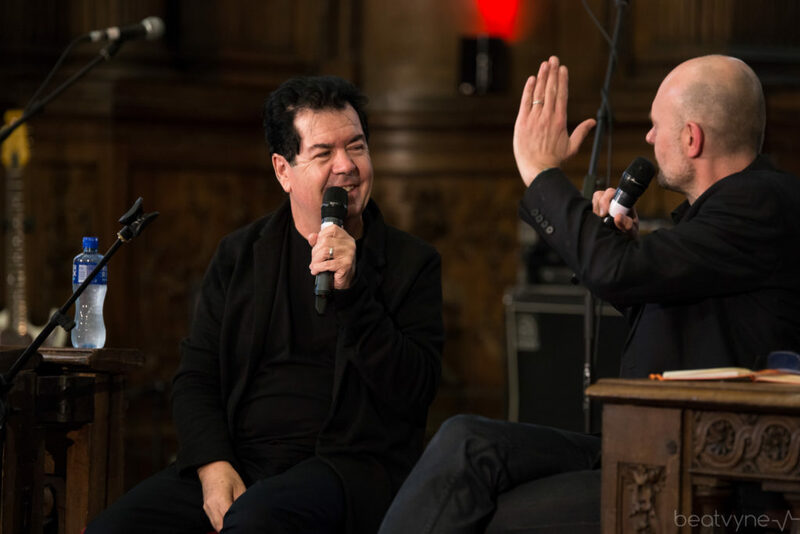 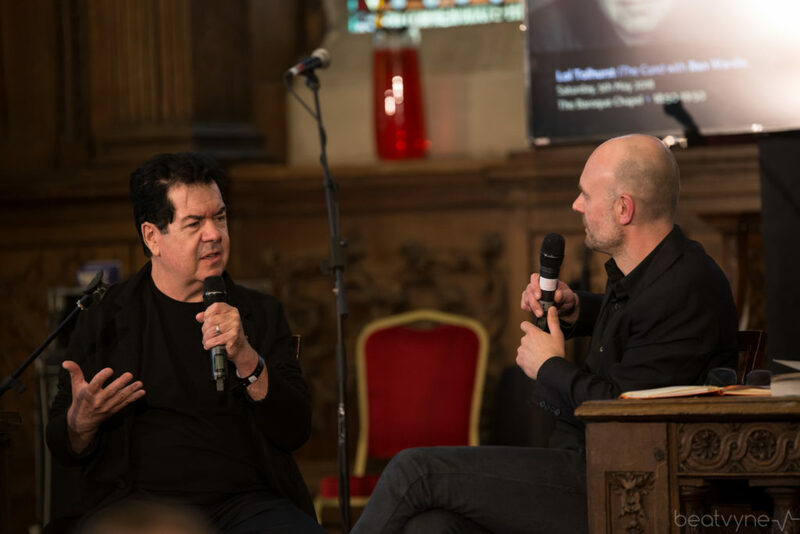 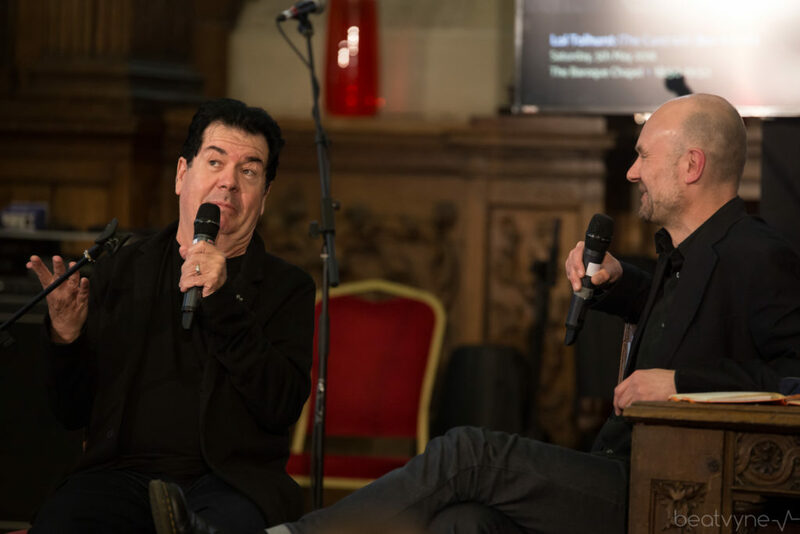 In the Other Room, designer and musician Stephen Averill presented ‘Death Valley ’86’, a series of images he took whilst working with Anton Corbijn on location for the photoshoot of U2’s ‘The Joshua Tree’, while in the Baroque Chapel, co-founding member of The Cure, Lol Tolhurst, outlined his relationship with Robert Smith (as detailed in his 2016 memoir, Cured: The Tale of Two Imaginary Boys), as well as discussed The Cure, in this their fortieth year. 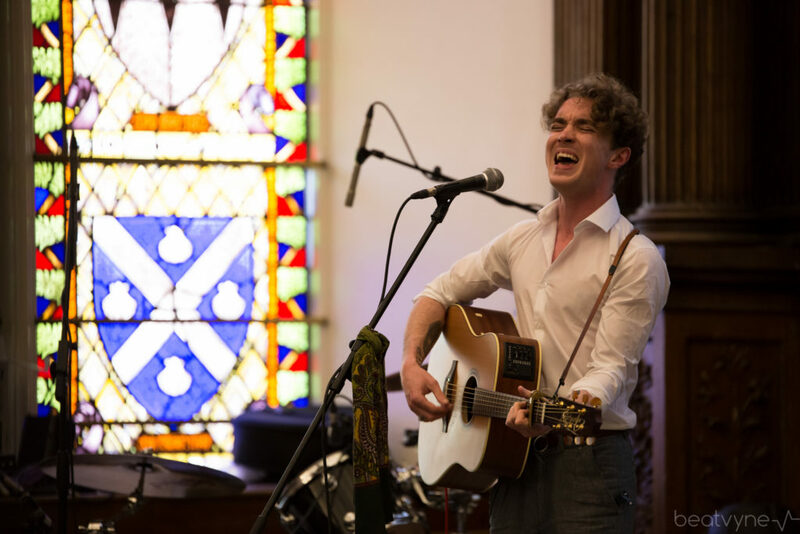 Day two began with a powerful performance by David Keenan in The Baroque Chapel. 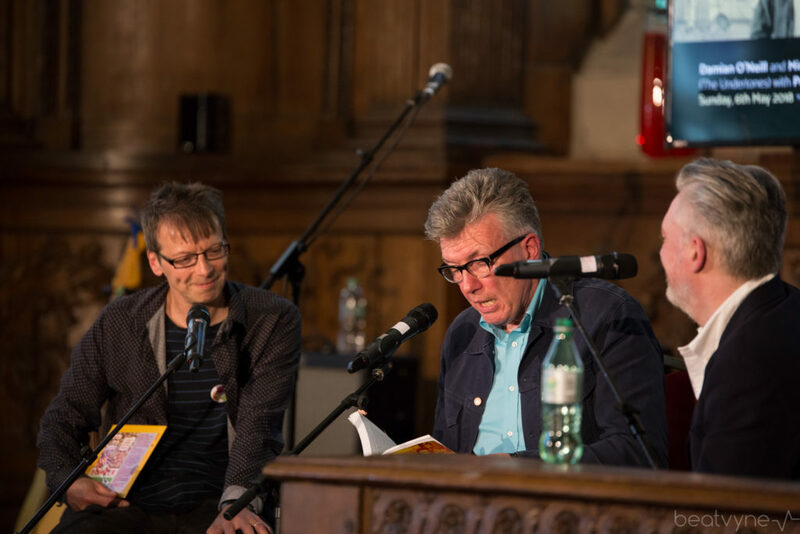 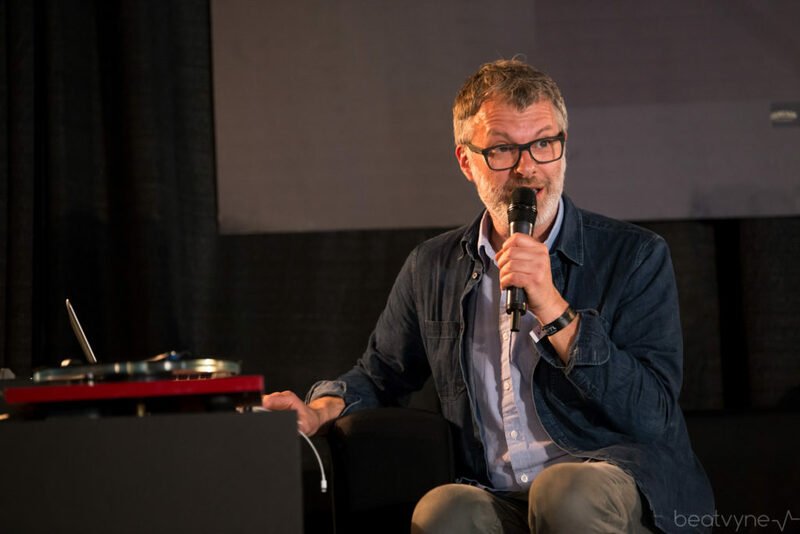 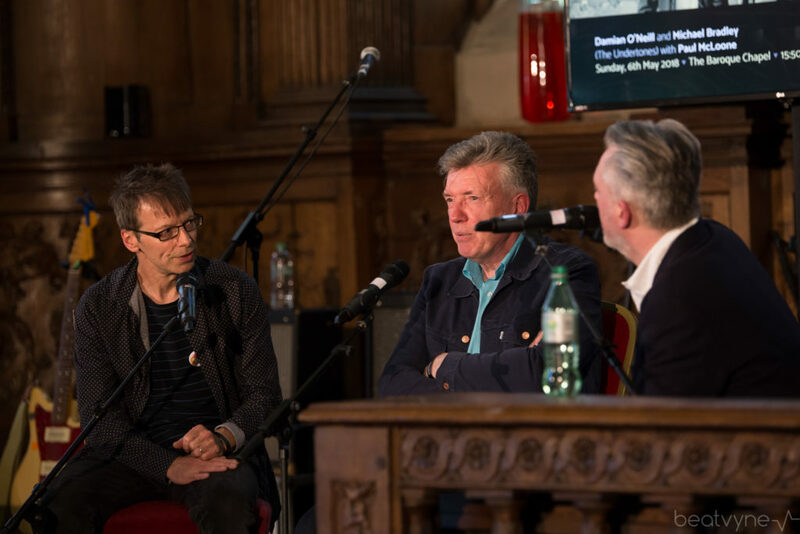 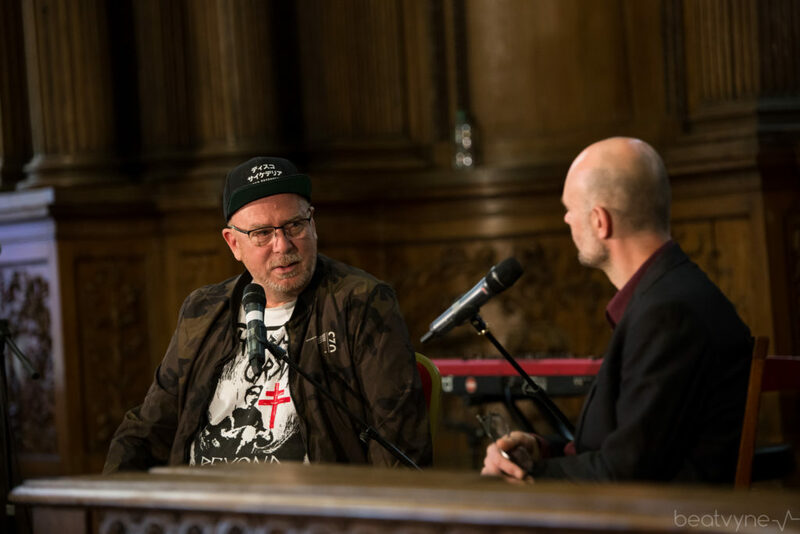 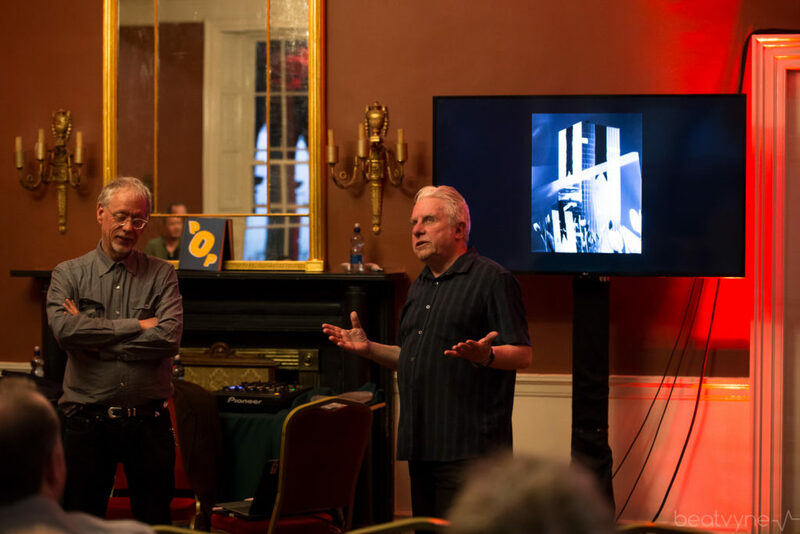 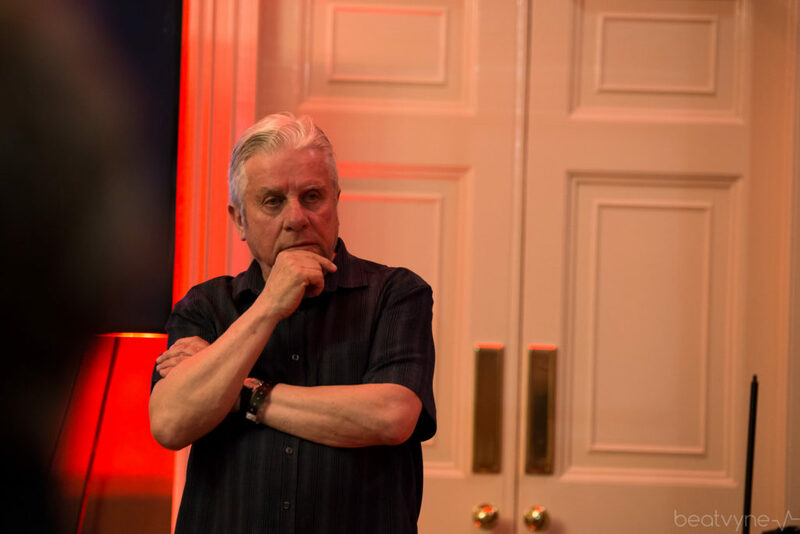 Damian O’Neill and Michael Bradley of The Undertones reflected on over forty years of the band and their classic pop/punk songs (including the eternally brilliant Teenage Kicks) in conversation with the band’s lead singer, Paul McLoone. 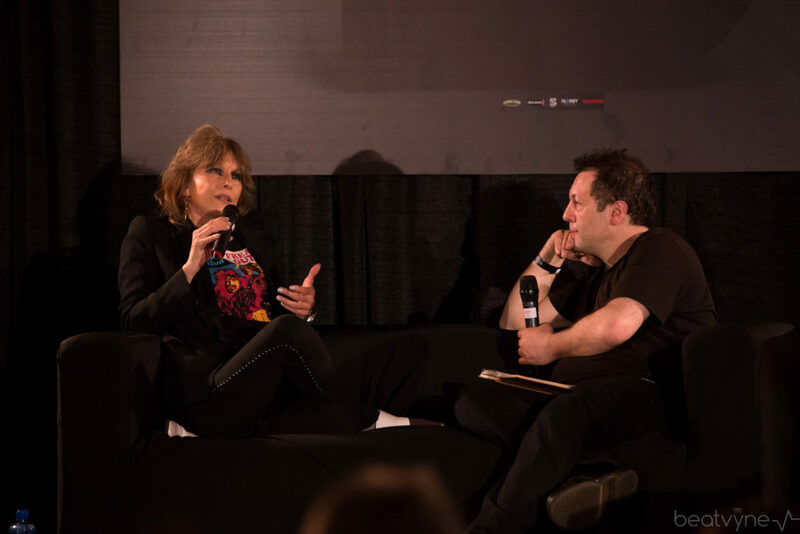 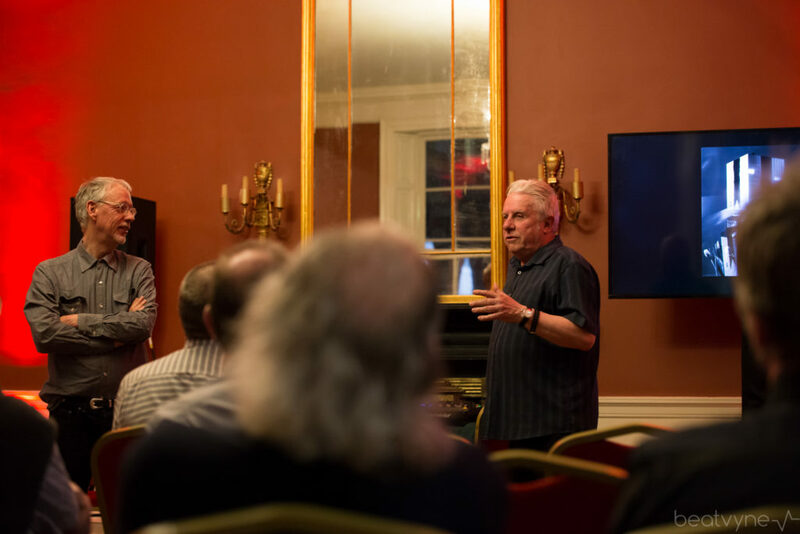 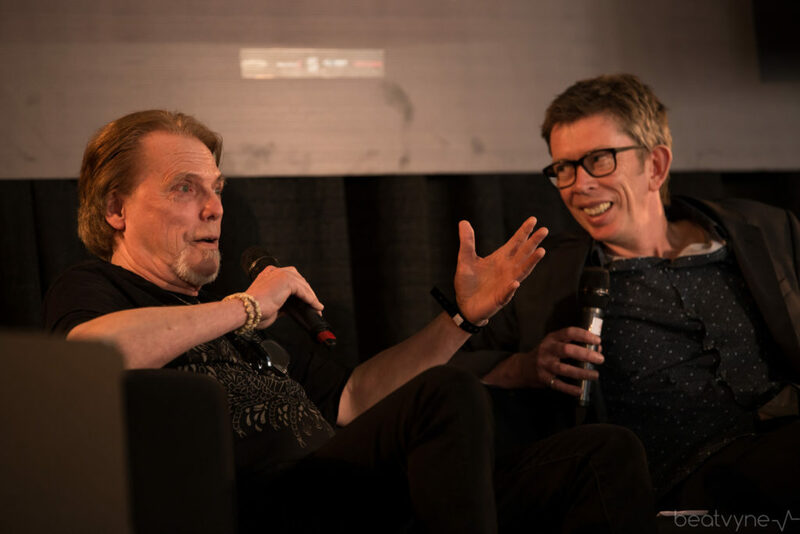 In the Great Room, legendary guitarist Scott Gorham discussed Thin Lizzy’s meteoric rise to prominence, the band’s abiding legacy, and their charismatic lead singer Phil Lynott, with arts and music broadcaster John Kelly. 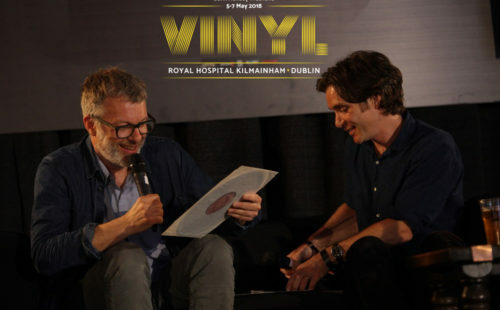 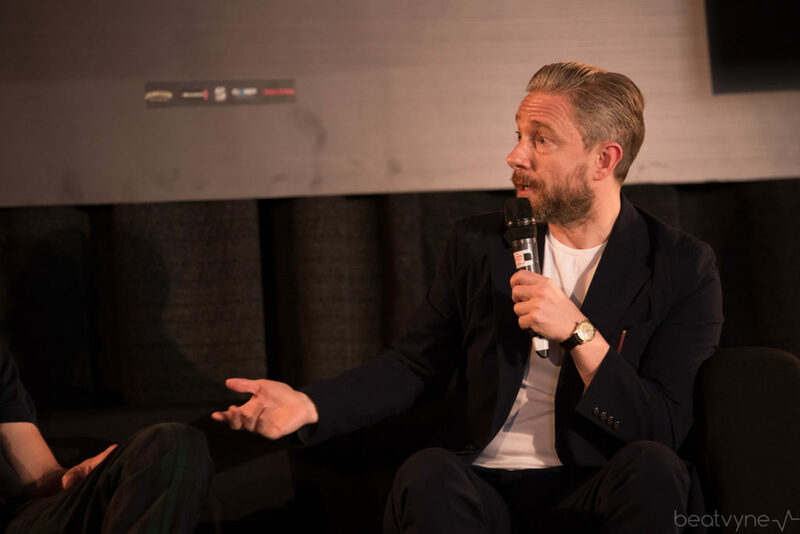 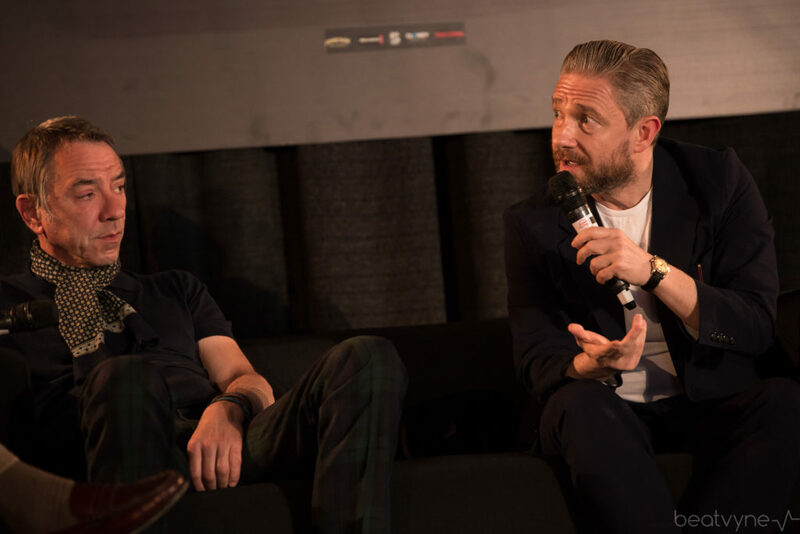 Another of our main highlights was Eddie Piller (Acid Jazz Records) and actor, Martin Freeman (The Hobbit, Black Panther, Sherlock) lively chat with Mick Heaney about their mutual love of mod subculture, how subcultures in general seem to have diminished, mod’s range of influences, its music, and how it informs their lives, not to mention their recent collaboration, Jazz On The Corner. 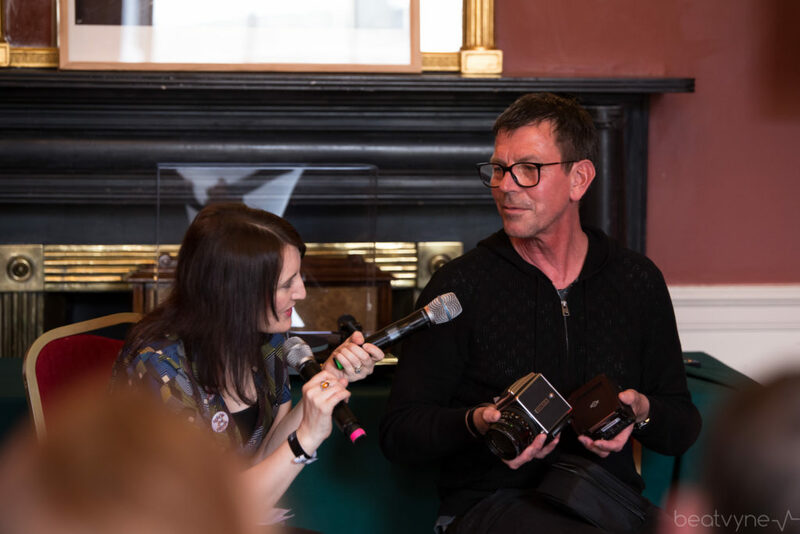 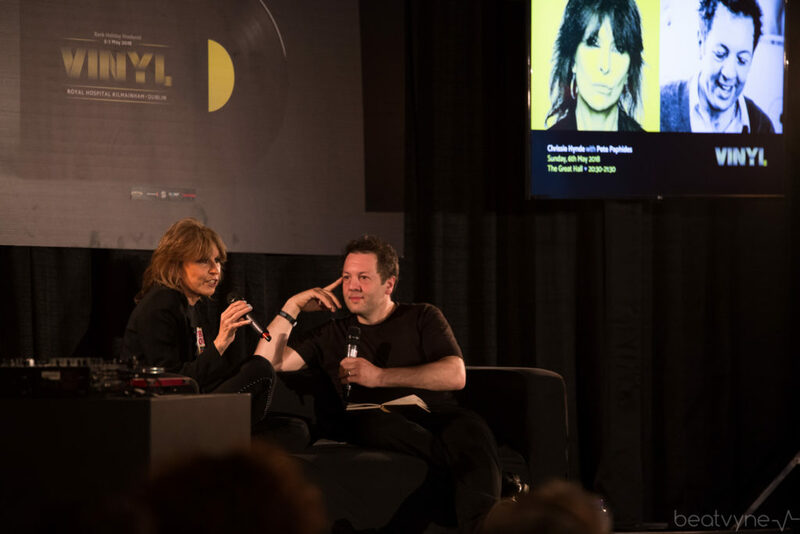 Back in The Other Room and wrapping up a jam packed and highly entertaining second day, Andrew Weatherall discussed his groundbreaking work with Happy Mondays, Primal Scream, New Order and My Bloody Valentine in conversation with radio presenter and DJ, Kelly-Anne Byrne. 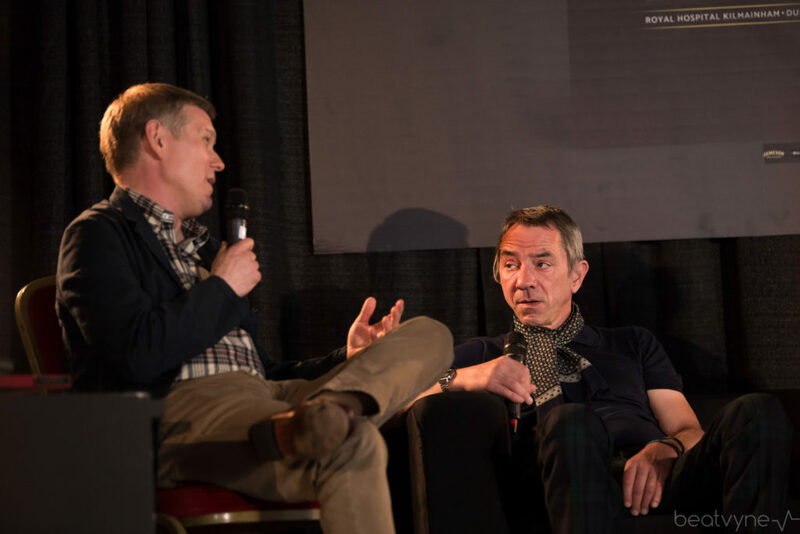 In an almost antithesis to Mod Culture’s tribal tendencies, Andrew is clearly a one man band, refusing to be part of a group, a movement and preferring to go it alone. 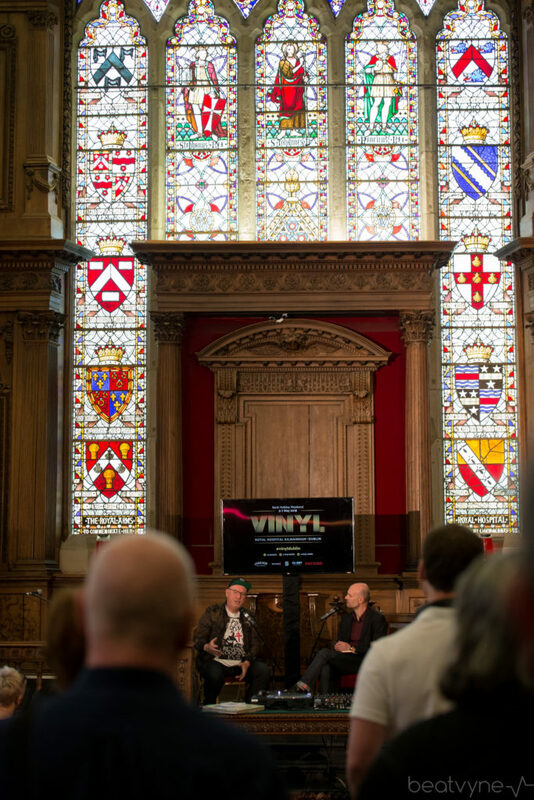 Last but most definitely not least, Day Three finished off Vinyl with a bang! 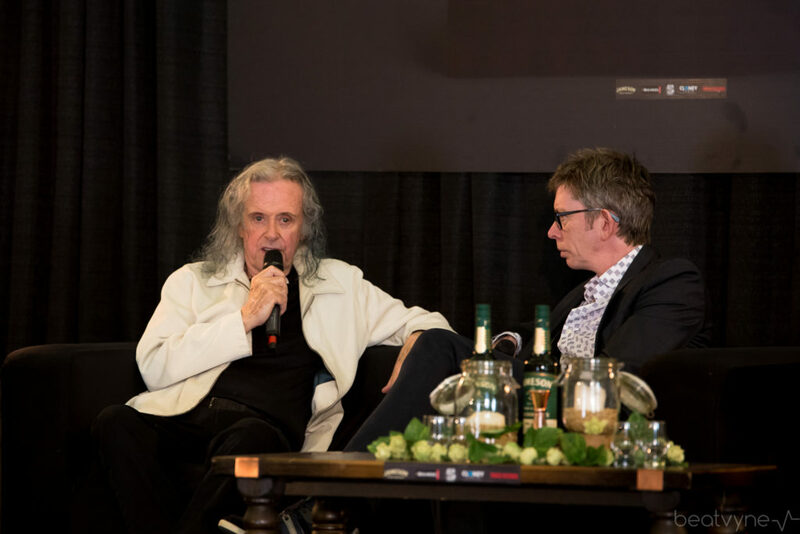 Renowned songwriter and musician Donovan chatted with John Kelly about his life in music, including his relationship with The Beatles, sharing captivating stories of the birth of classics such as ‘Yellow Submarine’, ‘Eleanor Rigby’ and the timeless appeal of songs like ‘Mellow Yellow’ and ‘Hurdy Gurdy Man’. 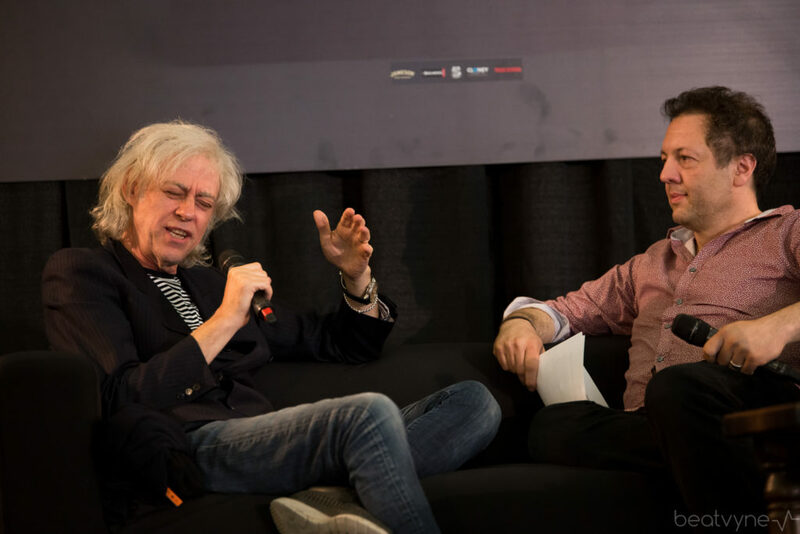 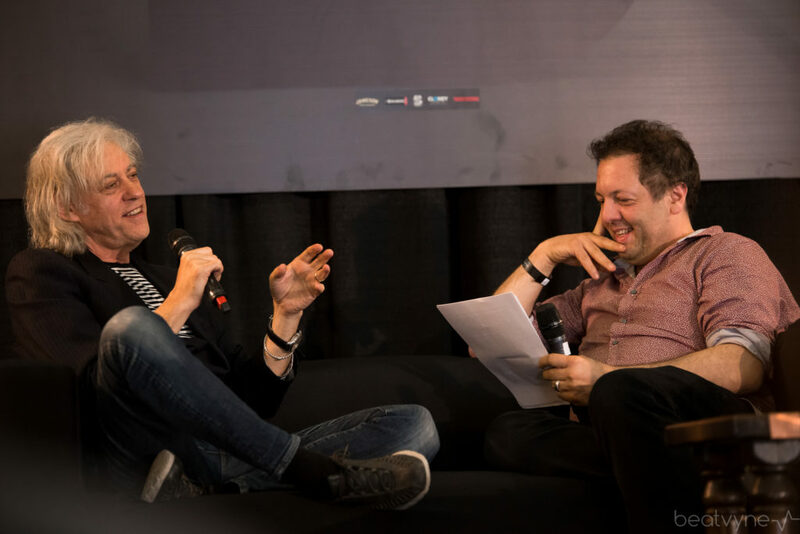 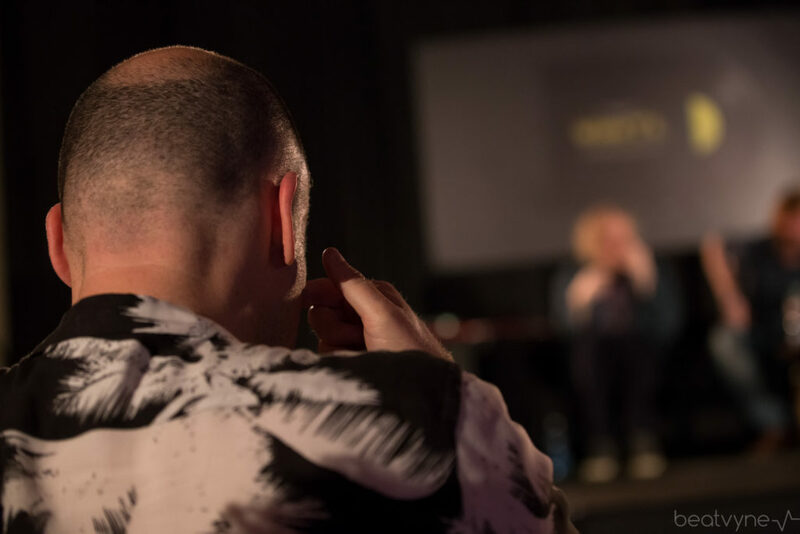 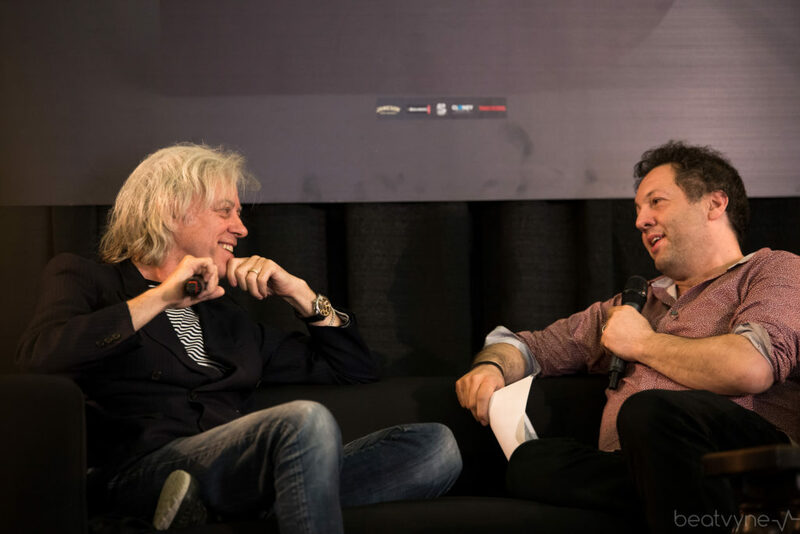 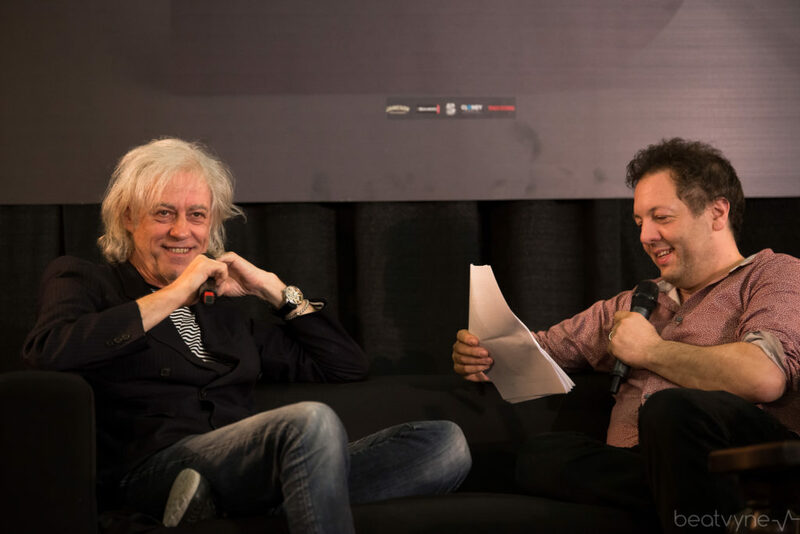 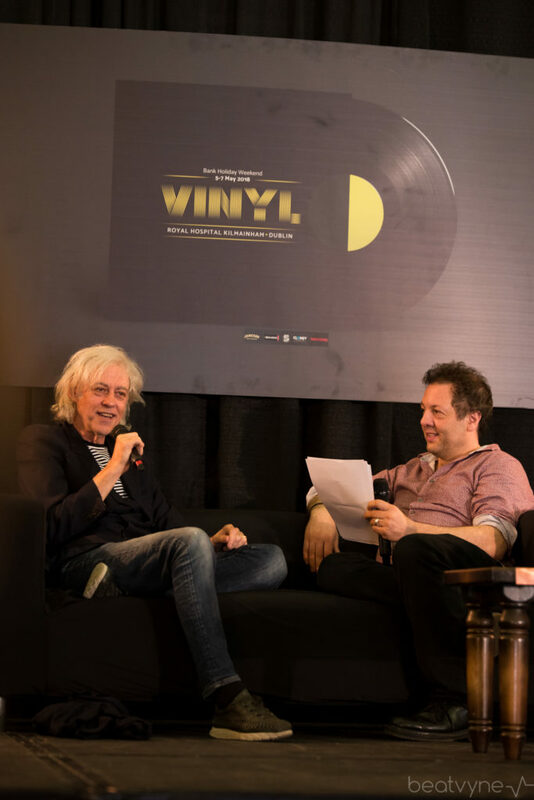 Up stepped Bob Geldof, in a pull no punches, conversation with Pete Paphides, to discuss the early days of The Boomtown Rats, punk/pop success, international fame, and why he will always be a musician. 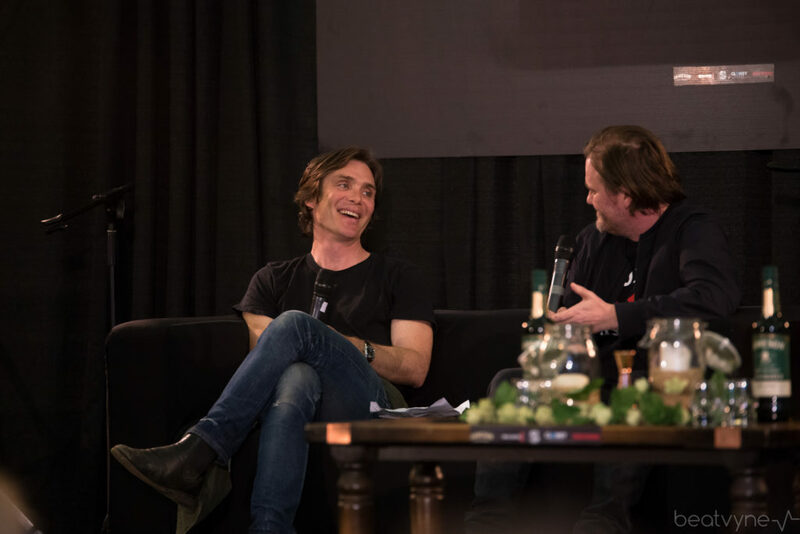 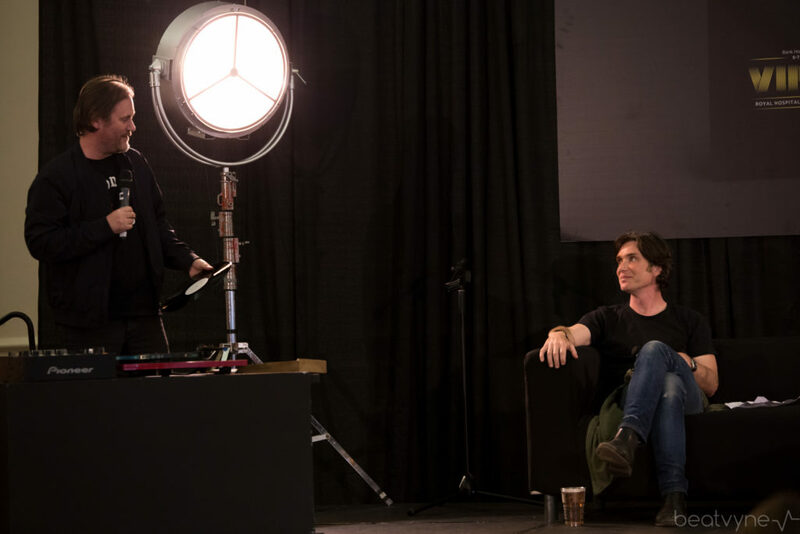 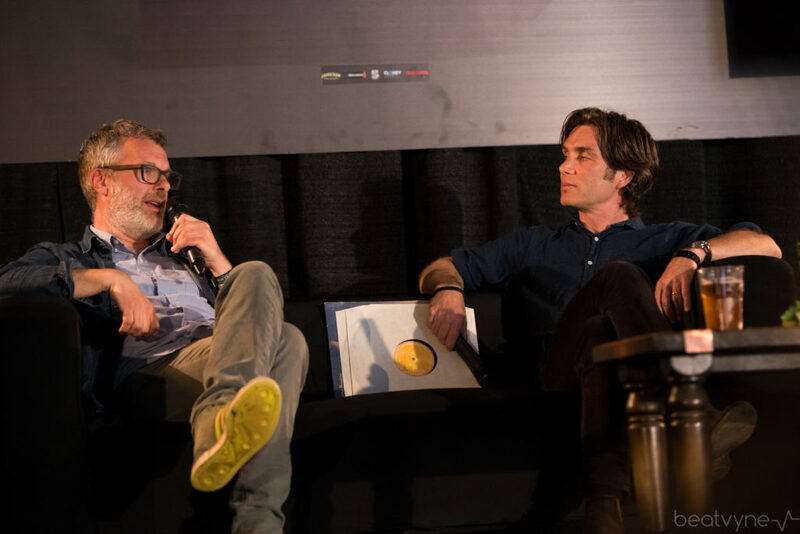 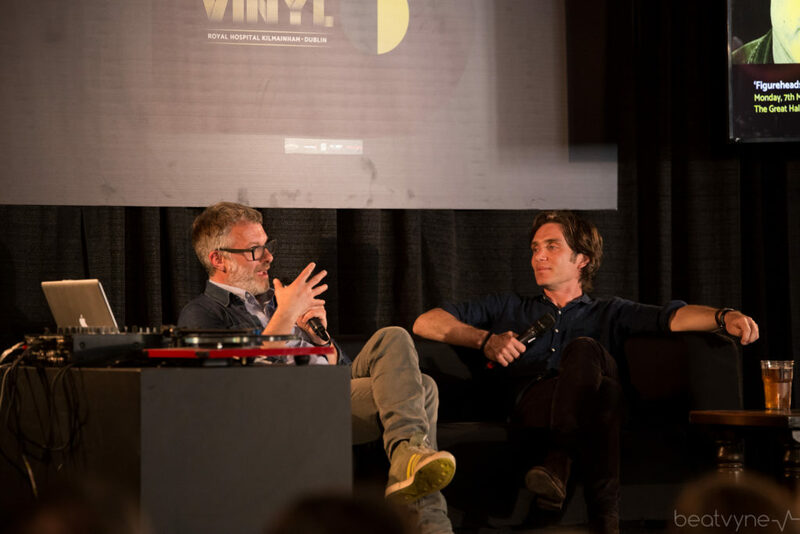 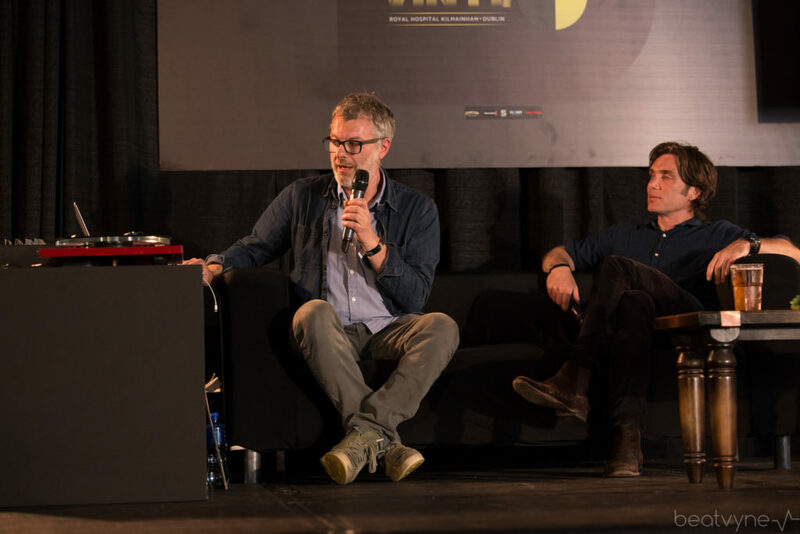 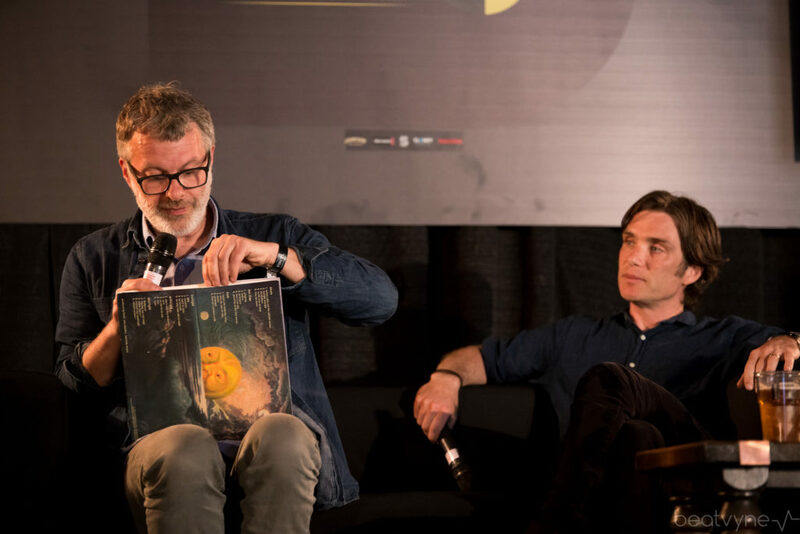 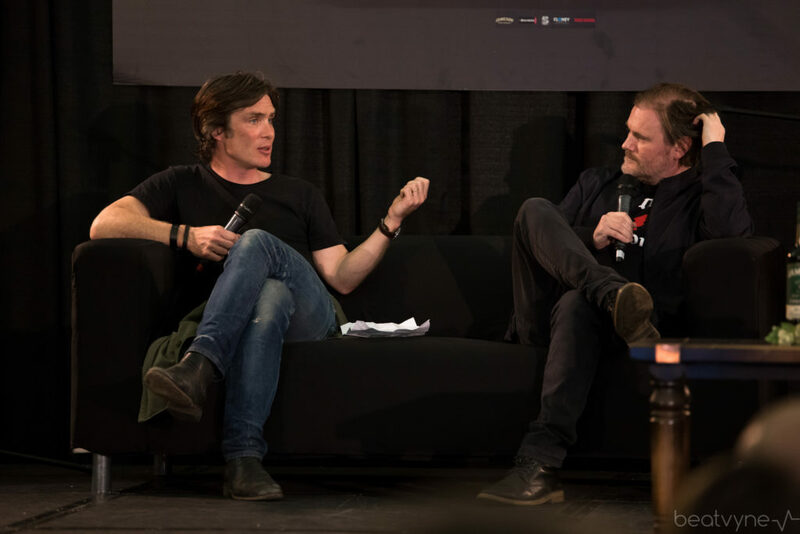 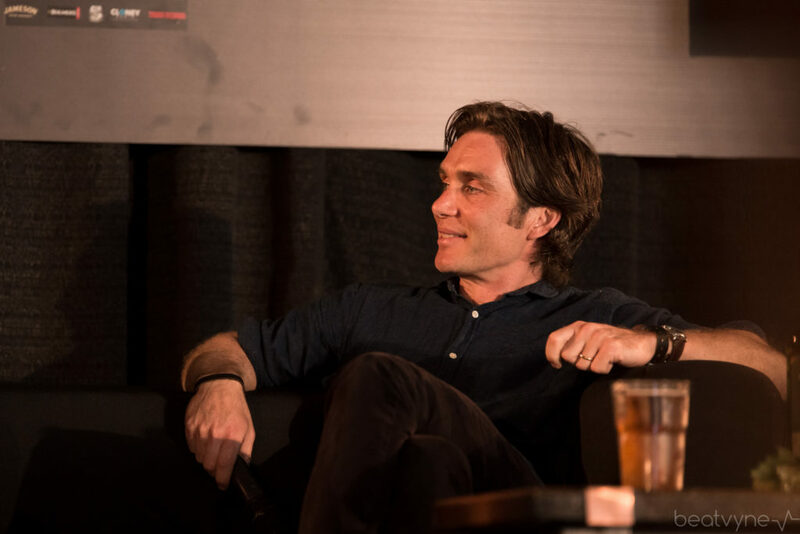 Renowned record producer Flood (U2, Depeche Mode, Nick Cave) chatted with celebrated actor Cillian Murphy to discuss three landmark recordings he has been involved in: Depeche Mode’s ‘Personal Jesus’, U2’s ‘Zooropa’ and Smashing Pumpkins’s ‘1979′. 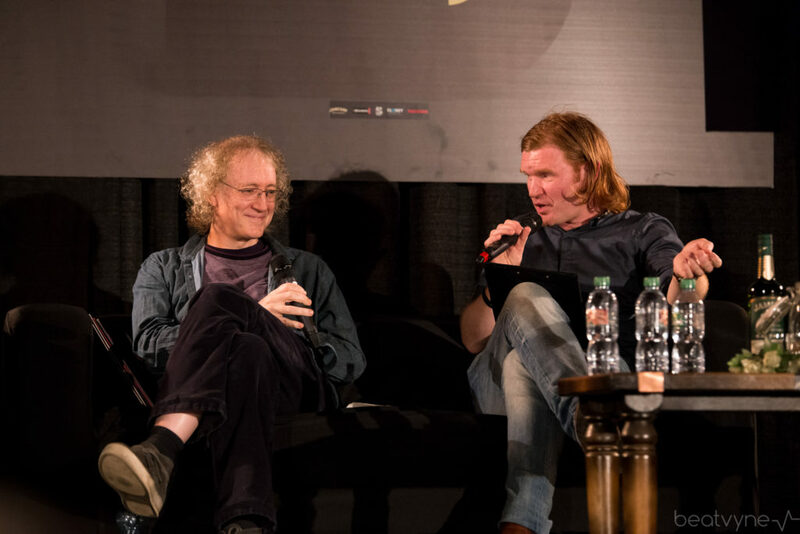 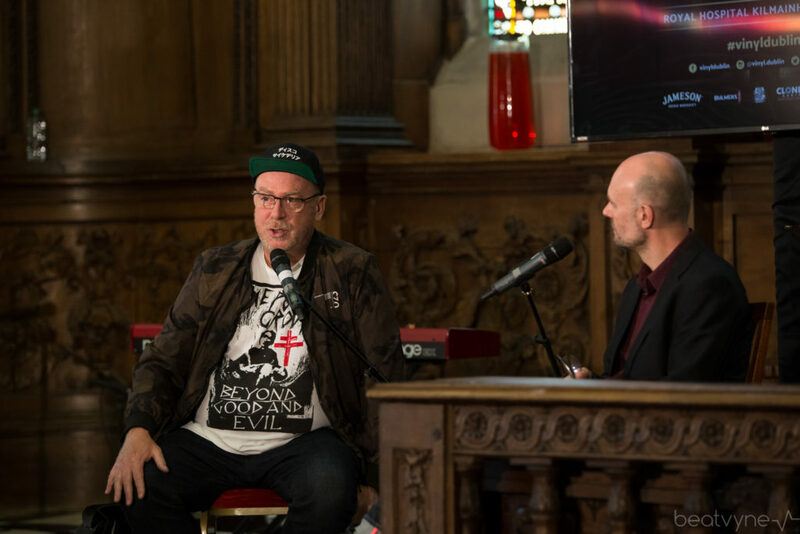 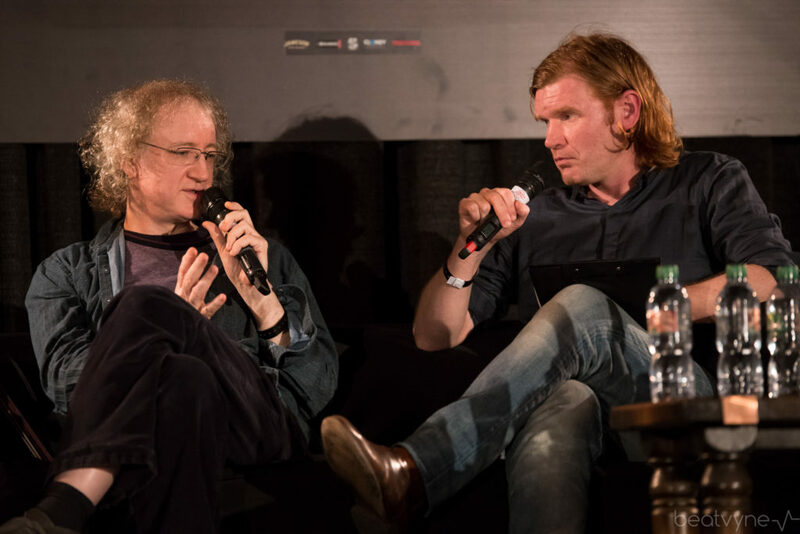 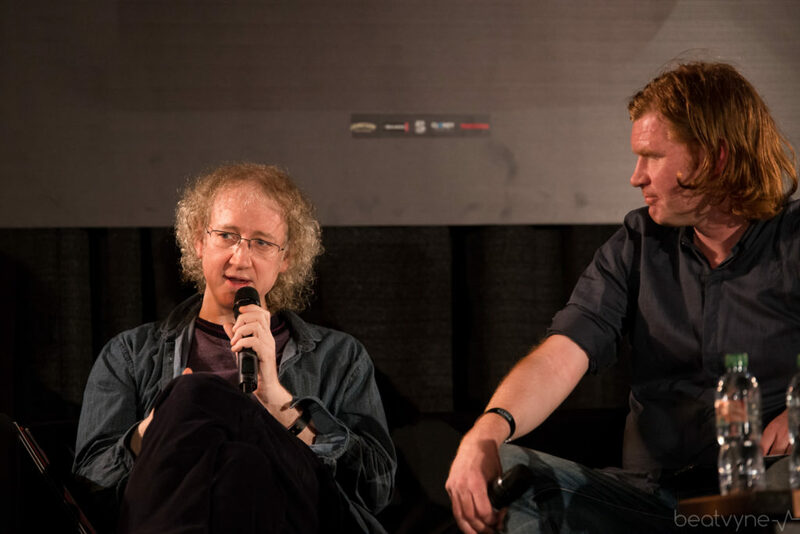 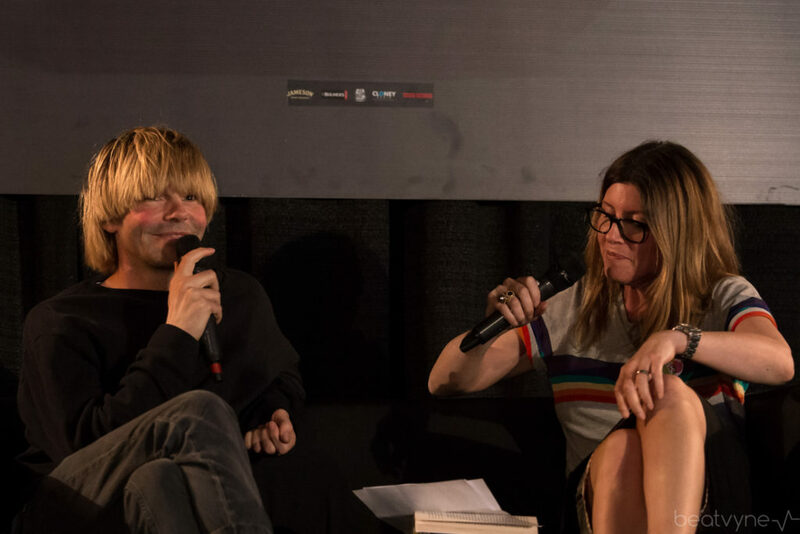 Finishing off the festival, Kevin Shields discussed the pioneering legacy of My Bloody Valentine and the band’s forthcoming album in conversation with Éamon Sweeney. 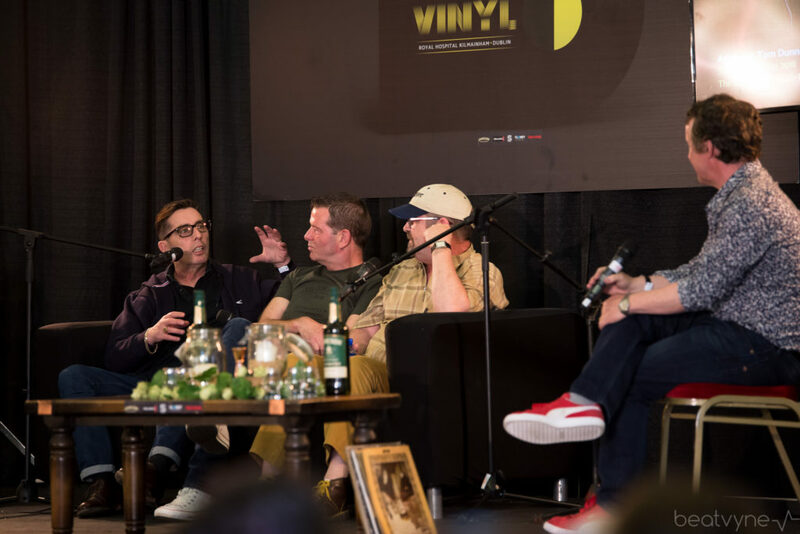 Vinyl truly captured a moment in time, the zeitgeist if you will, of a tribe of people who are not just enamored by music but by its visual counterpart that has accompanied it for years. 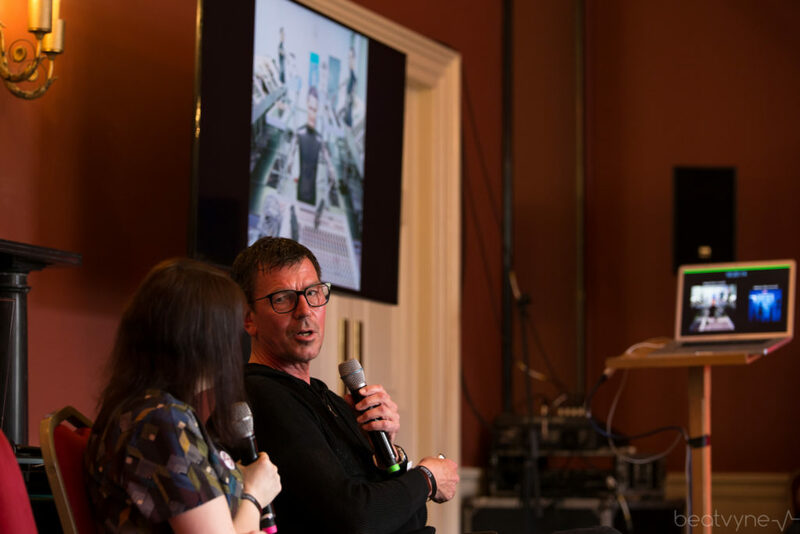 As digital extends it’s fingerprints ever so wider, there will always be a place for the physical, the real experiences that as people we crave but also need. 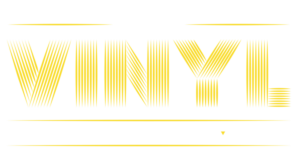 And if you love music, are craving for more connection and real experiences then pop this way and check out what we’re doing at beatvyne. 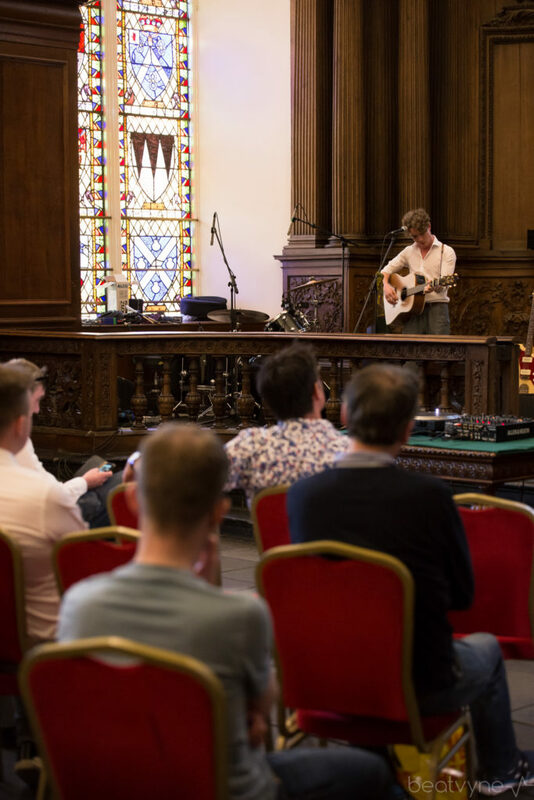 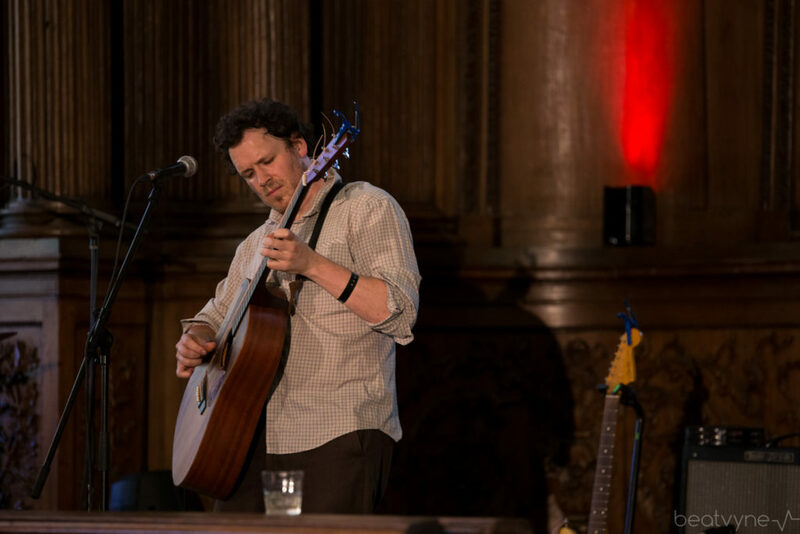 You can discover new music in unique spaces, play new spaces as an artist or sign up as a host and bring live music into your life.